… I want all the nutritional value of something dark and green, plus some nice, nutty grains, plus the (possibly) one of the most perfect pork products I’ve yet to discover, loose sausage filling — fresh ground, seasoned, just minus the casing — $3.99/lb at Agata & Valentina, a favorite grocer. 1. First, get the rice going because it’s probably going to take an hour to cook. Follow instructions on the package to make the rice, which will yield 2 cups. 2. Start up the rest of the cooking about 20 minutes before the rice is done. Sautée the cabbage, onion and celery on medium-low heat in a tablespoon or two of olive oil for about 5 minutes, or until the onion and celery are translucent and the cabbage has softened somewhat. Set aside. 3. In same frying pan, cook the loose sausage meat until browned thoroughly (7-10 minutes). 4. 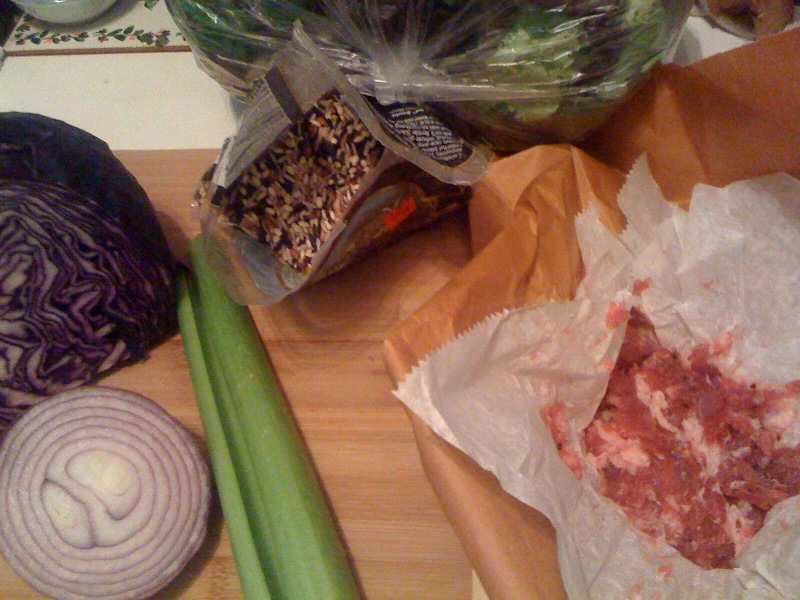 Mix the cabbage, onion, celery mixture into the sausage; add 1 c. of the cooked rice. Mix thoroughly. 5. Now, here’s the trick: While hot, pack the rice and sausage mixture on top of the salad greens and let rest for 60 seconds — the heat from the warm mixture will slightly wilt the greens. 6. 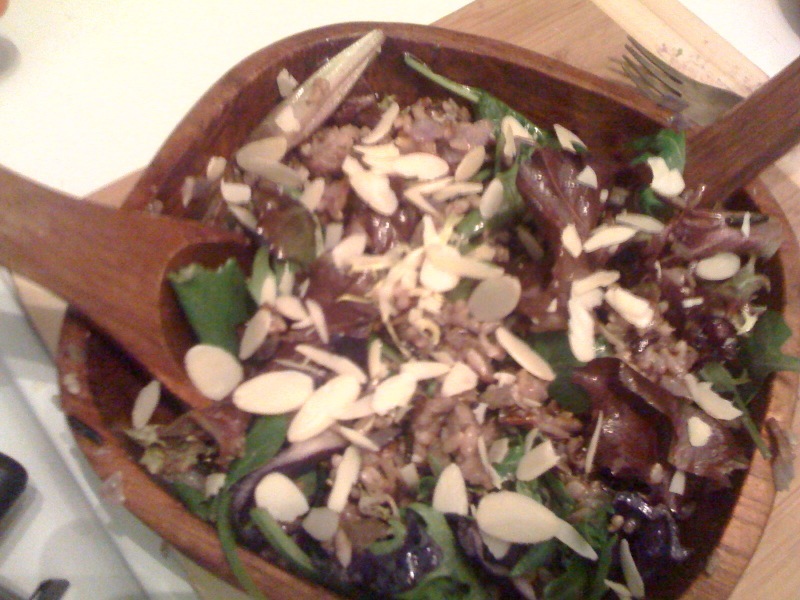 Toss evenly and sprinkle with nuts, then serve into bowls.